A must-have kitchen addition for any gourmand, this all-in-one mushroom knife comes with a serrated back for cuticle removal and a boar’s hair brush to clean the soil off of a particularly fresh batch. The blade locks in place when in use and folds away for easy storage, while the pre-pierced handle can be threaded with rope for use in the garden as well. 4 3/8″ closed. Curved design blade with a toothed back which makes it possible to remove the cuticle easily. 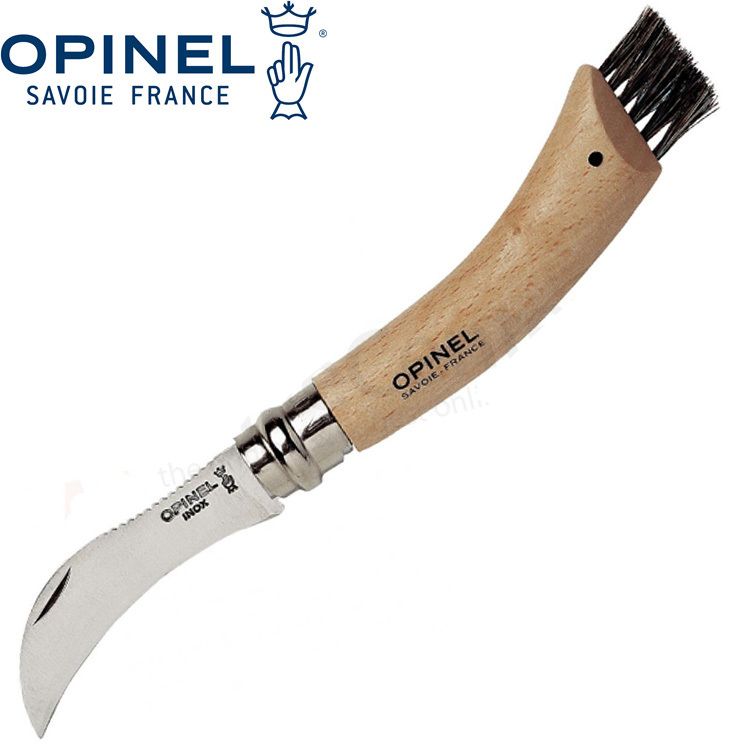 Natural varnished beech handles have a wild boar silk brush to remove soil. Safety ring for locking the blade.